The figures are in for how many people around the world watched The Royal Wedding of Prince William and Kate Middleton on YouTube. There were 72 million live streams and 101 million total stream views for the day, including re-broadcasts and that's just the The Royal Channel on YouTube . During the 10 seconds around the balcony kiss, The Royal Channel on YouTube experienced an additional 100,000 requests. We were very surprised not to see Canada and Australia in the top 5 results. The Royal Channel was accompanied by a live multi-media blog put together by St James’s Palace. There was also a Wedding Book which allowed visitors to upload their own messages of congratulations to the couple. Although it doesn't appear that all that many people uploaded messages, not sure why not as it seemed like a great way for people to get involved. There were 9 million views to the British Monarchy Facebook page on Friday 29th April and 27,220 attendees to the British Monarchy’s Facebook ‘Royal Wedding’ event. 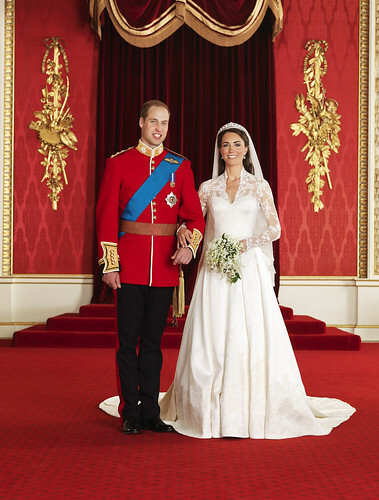 The @ClarenceHouse Twitter feed has over 141,000 followers and accumulated over 40,000 followers on the wedding day.